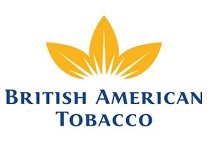 BAT has announced the acquisition, through a subsidiary company, of the remaining 57.8% of Reynolds American Tobacco. The acquisition, which has been approved byh shareholders of both companies, is expected to be completed by the end of the month. On the day if completion, the company will start trading on the New York Stock Exchange under the existing trading symbol BTI. Nicandro Durante, BAT chief executive, commented: “We are delighted with the overwhelming support we have received, both from BAT shareholders and from Reynolds shareholders. The transaction is expected to complete on or around 25 July. We look forward to welcoming Reynolds group employees to British American Tobacco and to realising the benefits of operating these two great companies as one stronger, global tobacco and Next Generation Products business with direct access for our products across the most attractive markets in the world”.